You won't want to miss this one-day shopping opportunity with Big Sky Yarn Co! 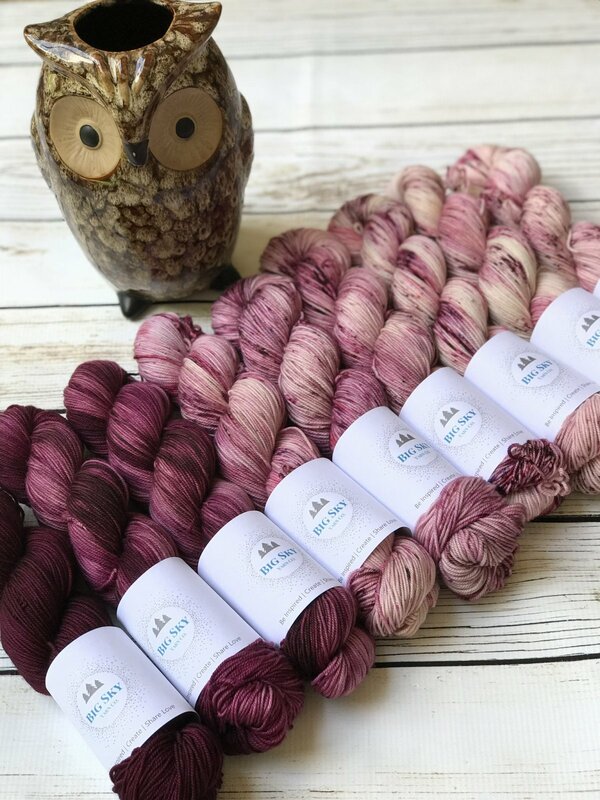 Big Sky Yarn Co. is located in Northwest Montana and specializes in luxury hand-dyed fibers. Cassie finds her inspiration under the “Big Sky” and it’s hopes you will be inspired to create with her yarns! We will have door prizes and contests throughout the day to add to the fun.